I love the classifieds. I have found some great finds and love selling things I no longer need. I am not afraid of buying something, since I know I can turn around and sell it if it doesn't work for me. When we bought our home back in February I bought some bar stools to use temporarily, until I found the ones I really wanted on sale. I bought all 4 of these for $20 through my local classifieds (I only needed 3, so I used the 4th as a plant stand). About a month ago the bar stools I wanted went on sale. I got these at ShopKo for around $70, which is the lowest price I have ever seen them (they are on sale for $124.99 right now). They work so much better in my kitchen because they fit under the bar and don't get in the way. 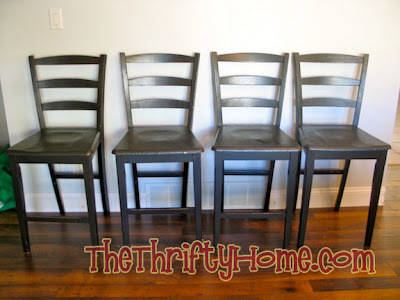 The backs on the other bar stools made the kitchen walkway small and cramped, but they were great temporary stools. I used my local online classifieds and listed my $20 bar stools for $50. I got a call a few minutes after listing them and sold them for the full $50 about an hour later. Last month I listed a dining table for more than I bought it and sold that too. If you do your research and know what things are selling for, the classifieds can be a great place. I only buy things I want and actually use before selling, but I do know some people buy and sell for a living. It is just my way of having what I need until I find that great sale and buy what I really want. 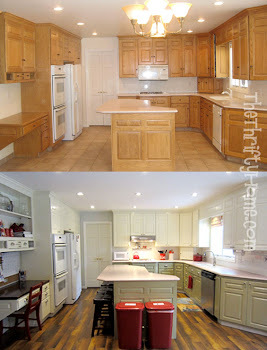 Oh, and before and after photos of my kitchen makeover are coming. You can see my new floor in the picture with the bar stools. It must be "Chair Week". I posted about some second-hand chairs I've recently purchased too! 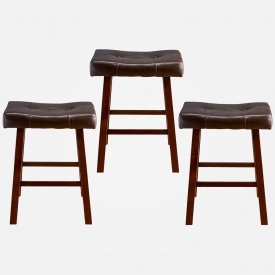 BTW, the bar stools you bought I was also considering getting at Amazon. What a great price at ShopKo. However, I held off and eventually got these chairs instead (and for free)! Uh oh. Is the collection meant to be closed right now? I've loved our local classifieds. This time of year is a great time to sell toys. We take care of our things, keep parts, boxes, and owner's manuals (as much as possible) to help items sell better later. I love giving someone a good deal, and I also love having a little "cha-ching" in my pocket. I so wanted to post my deals but it appears the linky closed early :( I will check back later. Wanted to post but you are closed.. 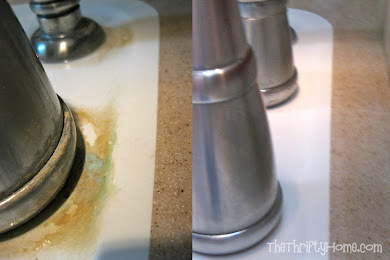 Thanks for fixin' the issue Jen! And thank you so much for hosting too! So glad to see the link party is back up! Thanks for hosting! 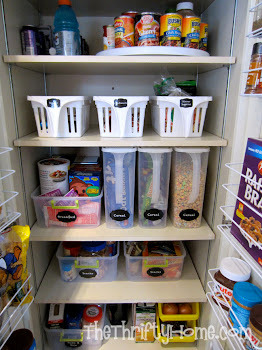 I love coming here and seeing all the frugal ideas! This week I shared my own list of gifts $10 and under for budget-conscious holiday shoppers.